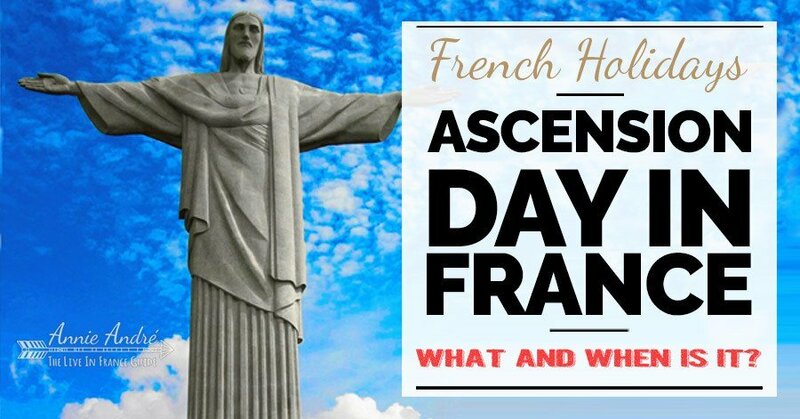 >> Ascension Day In France. What Is It And What Do People Do? Ascension day is always on a Thursday, exactly 40 days after Easter. Since Easter is a moveable feast (i.e. the exact date of Easter changes from year to year), so does the exact date of Ascension day. Although Ascension day usually occurs in the month of may, it occasionally occurs in June. The last time this occurred was in 2011 and the next time it will occur in June is 2038, 2079 and 2095. 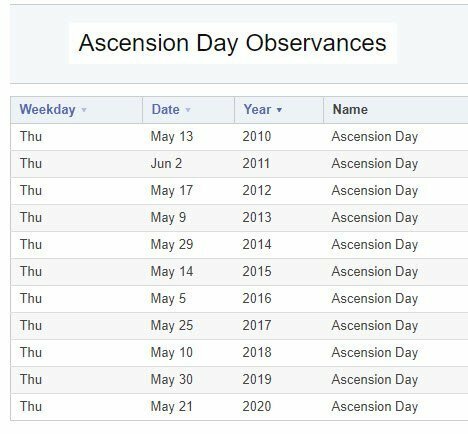 What to expect on Ascension Day? Don’t plan on being very productive on Ascension day in France because it’s a public holiday where everything except crucial services come to a complete halt or have special modified hours. Buses and some trains run on a modified less frequent time schedule. Kids have no school, banks and post offices are closed and some restaurants even closer. The exception is if you are in a larger city where some restaurants and boulangeries may remain open. Since Ascension day is always on a Thursday, the French like to make it a 4 day weekend called “le pont”, the bridge. So you can expect many businesses and schools to be closed on Friday as well. You might be interested in reading about all the other holidays in France in the month of May and why May just might be the worst month of the year to visit France. 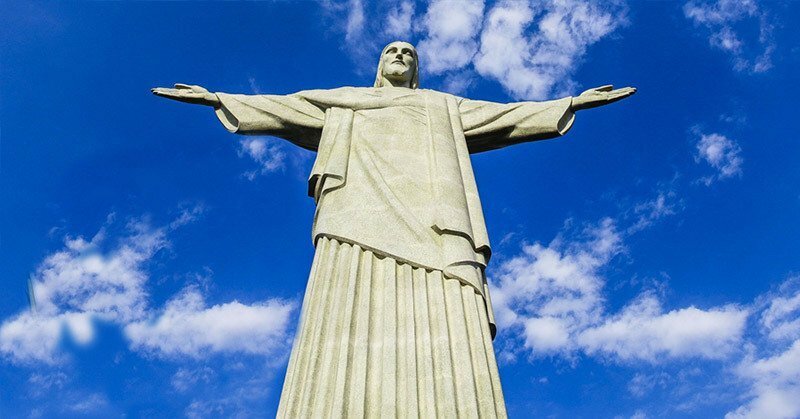 Ascension Day is a religious holiday that marks the end of the Easter season and commemorates Jesus Christ’s ascension into heaven, according to the New Testament of the Bible. After Jesus died on the cross, he rose from the dead and appeared to his disciples and to more than 500 others and taught them about the kingdom of god. 40 days after his resurrection, Jesus and his disciples went to Mount Olivet, near Jerusalem and promised his followers that they would soon receive the Holy Spirit. He then instructed them to remain in Jerusalem until the Spirit had come. Then Jesus blessed them, and began to ascend into heaven. The account of Jesus’ ascension is found in Luke 24:50-51andActs 1:9-11. Just like the US, Canada and the UK, some Christians in France attend special church services to mark the ascension of Jesus to heaven. Some small towns hold cultural or sporting events the following weekend. Even if you are not a practising Catholic or Christian, you will enjoy a day to relax with your family and Friends. Make sure you have enough food in the fridge since most food stores may be closed Thursday and possibly Friday too, it just depends on the town or city.